The noise coming from the system unit, may signal a variety of problems. 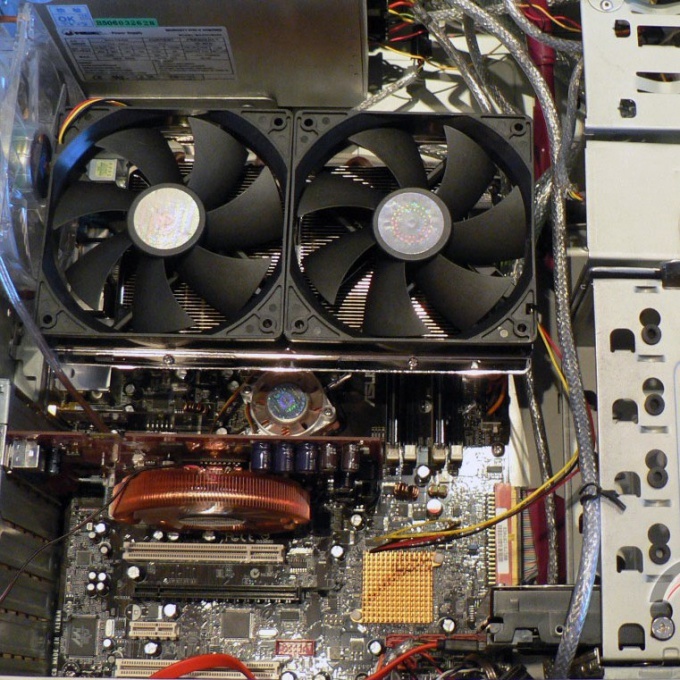 But even if it is known that he comes from one of the fans should not relax, because the high-quality uninterrupted cooling – the key to long life of the computer. Most people, trying to keep up with progress, constantly updating their PCs and rush to replace them with new, more committed. However, do not rule out the possibility that the fan noise is due to the fact that it is an old model, seeming loud against the backdrop of modern, almost silent. If the sound has appeared recently or unexpectedly, there are several variants of problems that can cause. Noise could the cooling system of the power supply. If the room is dusty or the whole system without changing the items works for several years, the pollution gets even there, bypassing all the protective boundaries. Noise are usually the most from this part, as the cooler, large diameter and high rotation speed. To clean and purge the power supply will have to disassemble. Some models understand easily enough, the main thing – remember where the bolt is unscrewed. Then, having cleaned and lubricated the parts needed, assemble the unit and reinstall. Options that do not involve simple disassembly will have to change. In any case, experts advise to put a new power supply every two to three years, regardless of the presence of noise and failures. With the cooler there are often problems due to the fact that for maximum efficiency in most cases, set upside down. At large for long periods, it can gradually shift starting to hurt blades static surface. If this happens, even the fan of such a small diameter can be very quiet. The easiest way to solve the problem by buying a new graphics card. But if you want the old noisy version can be separated from the motherboard, check the axis of the fan and lubricate it. If the axle has shifted, you will have to rasp the edge of the box of the video card to the blades ceased to hurt them. The CPU is also quite often noisy. It gets most of the dust, and he the least secure. The core layer accumulates between the fan and the radiator, where it is exhausted air for further cooling. To clear the system fan disconnect and clean both items separately, if necessary, lubricate. It's undesirable to use when cleaning the cooler a vacuum cleaner. This is convenient, but moving dust particles create static electricity which can cause damage to the system.